One of the scariest things that can happen to a person is getting trapped in their vehicle while submerged in water. Even if the water is waist high, panic can set in and people do not always know what to do. When you are able to escape your car, and get to safety, the first thing you should do is call our company to come help. 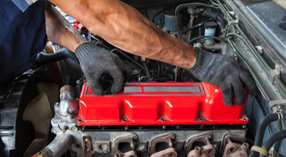 We will do whatever we can to salvage your vehicle and whatever is inside. We have 24-hour towing and will be there to help you whenever you need us. Unlike other tow truck companies, we do not have to call for additional backup when hooking up the cars to get out of the water. In the past, we have had our staff nearly drown, going to extreme depths to get your vehicle out. 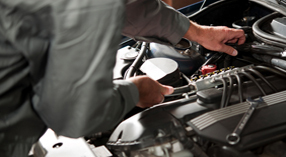 We know that each situation is different and have vast knowledge about all different types of vehicles. There are specific places to hook each vehicle on, and while it is submerged it poses other challenges as well. Most companies will not even attempt to get a vehicle out if they are more than six feet off of the roadway. Most of their equipment is not designed to leave asphalt of gravel roads; we have these capabilities to do so. We have several road side assistance services that refer us when our services are needed. If you find yourself stuck in this dangerous situation, call us right away for assistance.